Since time immemorial, fashion has reflected the society it resides in. Designers have taken up the mediums of fabric and leather to vocalize their point of view through the manifestation of clothing while disrupting the status quo in the process. Whether they wish to express their dissatisfaction with the current political state, break social standards re: the human form, or simply create beautiful things, fashion has continually evolved from this echoing cycle. As the past year reared its tumultuous head, artists from all disciplines took to their respective mediums and created, to cut a swath through fake news, the Hadid siblings, border walls, and everything else worth averting one’s attention from in 2018. It hardly takes a trained eye to notice the electricity surging through the fashion industry, with budding and established designers alike rekindling and rebuilding its spirit. 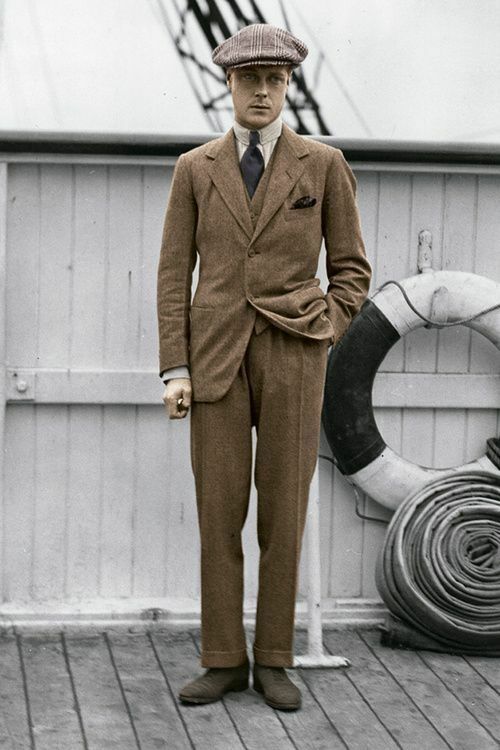 Almost a century after Edward, Prince of Wales cemented himself as the world’s foremost menswear style icon, we’ve found a few creators in fashion who inspire and move us right now. Keep reading to familiarize yourself with a few standout designers to watch in the new year. These selections range from younger to more refined labels. Don’t forget your BV swim trunks - these guys are going to be making waves in 2019. Where to begin with Emily Bode? The designer’s namesake label (pronounced boh-dee) brands themselves vis Instagram description as “Bode: clothes, etc.” (the etc. being the accessories, homeware, and one-off creations Bode develops). This is what Emily Bode brings to the playing field, developing her message through the medium of clothing. The inspiration she draws from shines through in each piece, as she reclaims, repurposes, and globally sources vintage clothing, tablecloths, quilts to create one-of-a-kind heritage workwear. “All wear, mending, and idiosyncrasies are unique to the original fabric,” Bode disclaims at the bottom of their product descriptions, with each piece crafted in their made-to-order studio in Manhattan’s Chinatown. In the brief interim since debuting his eponymous label in 2017, Kostadinov has proven himself a mover and shaker in the greater world of fashion. With his modern-day uniform and contemporary workwear showcasing a refined eye for complexity, he constructs meticulously engineered garments, accompanied by functional features and finishes that permeate the Bulgarian designer’s collections. A disciplined cut and sew approach lends itself to a higher turnover time for Kostadinov’s production, but the quality and design speaks for itself (and quite audibly). Collaborative activewear and footwear collections with brands such as ASICs and Camper sell out quickly as the sheer buying power of Kiko’s cult fanbase, generalist hypebeasts, and stylists everywhere rears its head. He challenges the wearer to think differently about the archetypal human silhouette, skewing their own body in whichever direction he’s mapped out in the cut of each piece. His designs are striking in their directness, and lend themselves to second looks from passers-by. And who wouldn’t want that? For people to sit up and look around for once? Landing herself a spot on Business of Fashion’s Top 500 People Shaping Global Fashion list is no biggie for “probably the best designer in the world,” as her website preview copy cheekily states. Rose has been in the game for a long while now, garnering a cult following in the London fashion scene before collaborations with bigger brands and ace marketing tactics came into play to propel her namesake label to where it stands now. Since 2007, Rose has been creating left-of-center men’s clothing that challenges the very idea of “menswear”. The label is firmly cemented in that world, though it has organically collected an eager fanbase of women as well. Drawing inspiration from the London rave scene she danced her way through in her formative years, and collaborating with the likes of Nike to indulge the Air Monarch silhouette, or NAPA to take to the slopes, Rose has, and continues to, create clothing that should land her on everyone’s radar this year. Born within the walls of Portland’s Machus, Bare Knuckles is the brainchild of Jacob Keller and Cole McBride. You may recognize Keller from his presence as AlwaysFreshApparel on YouTube (a platform on which he’s active only about once a year these days), a venture that would eventually land him a Global Brand Specialist position at Jordan. After a stint there, Keller began managing the storefront at Machus in his native Portland, invoking the idea for Bare Knuckles Co.
Modernity, accessibility, and utility sit at the core of the BK ethos. As a new and emerging brand at the forefront of the streetwear scene, Bare Knuckles’ dedication to manufacturing processes, including hand-distressing, sun-drying, and acid/stone/oil washing, sets the young label a rung above, and gives their pieces a rough-around-the-edges and aged quality that is not so easily simulated, barring regular wear over long periods of time. Their knockout first collection, including the already classic striped denim trucker jacket (pictured above), sold out quickly. Expect subsequent collections to do the very same. Berlin-based GmbH, which derives its name from the German equivalent of LLC (limited liability company) or Gesellschaft mit beschränkter Haftung if you really need me to spell it out, is a fashion collective born on the city’s legendary dance floors. 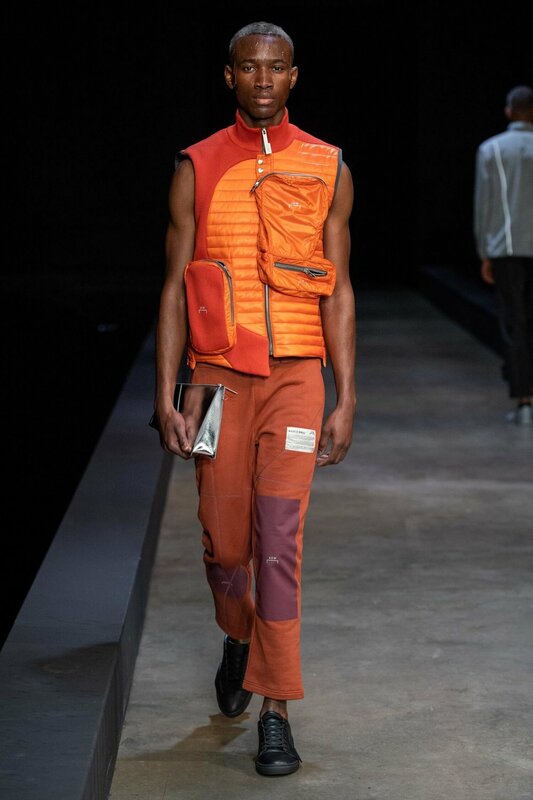 Berlin is well-renowned for its rave scene and the raw energy and attitude of the bass, smoke, and lights are meshed with the very material the brand uses for its garments - vests and sheer, tight tees, trousers made of PVC and metallic jackets spliced together with recycled vintage sweaters. 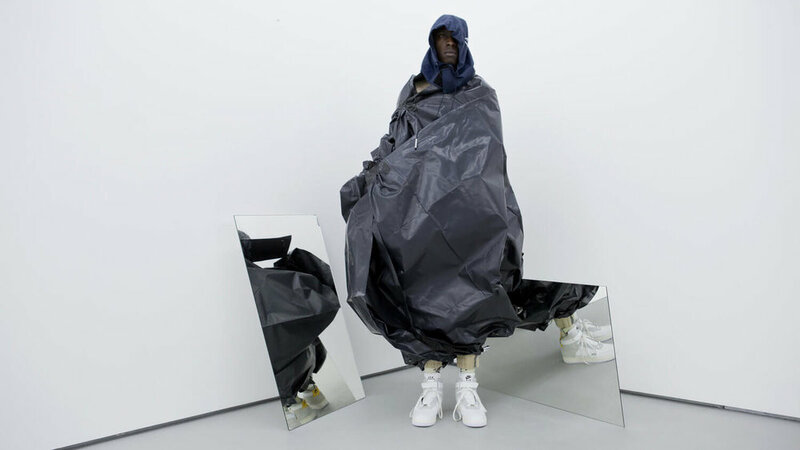 Founded by Serhat Isik and Benjamin Alexander Huseby in 2016, GmbH creates what many consider to be modern armor - to wear to the club, to shield against bigotry, to deflect elitism, to simply exist in a world that lends itself to battle. In an interview with the New York Times, Isik and Huseby, both the children of Muslim immigrants in Germany, shared a testament to their migrant fathers, and those underrepresented in the greater fashion community by outlining GmbH’s core values. “We can only shift society’s idea of what beauty is by strong representation,” says Isik. The interviewer, Gisela Williams, ends the article with an impactful point. Samuel Ross’ disruptive three-year-old brand carries a thematic message - British low-class uniforms find themselves in a Frankenstein meld with high-class tailoring, creating a stark, brutalist juxtaposition when presented in today’s fashion landscape using modern materials. 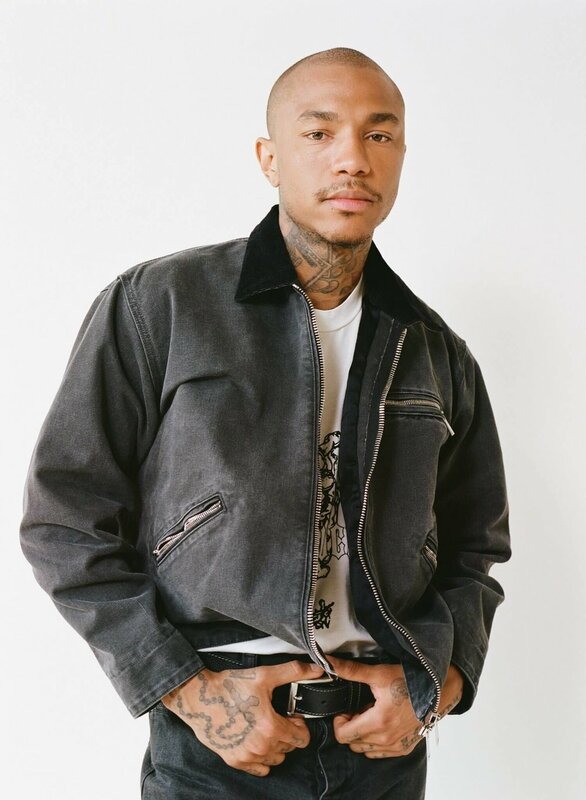 London youth, tattoo artistry, and his Windrush heritage all work to inspire Ross’ vision to explore the cultural melting pot of the UK through design. 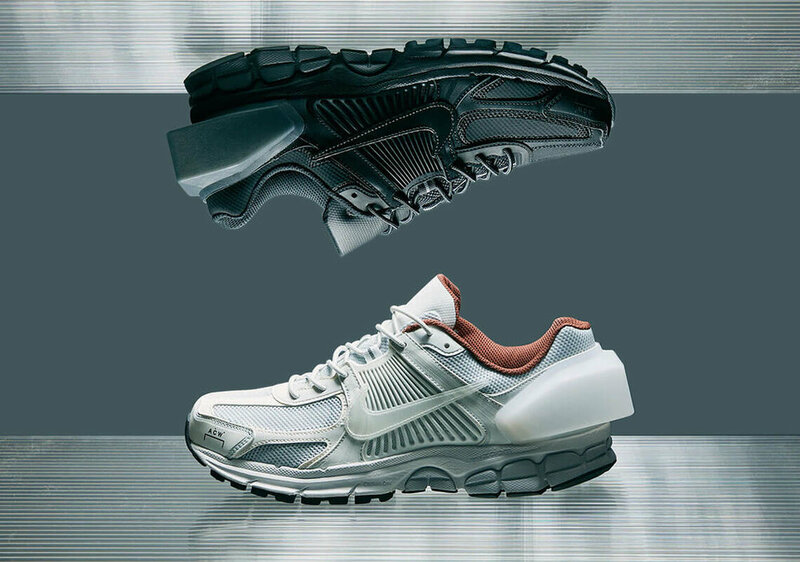 Notably, ACW’s collaborations with Nike have also brought the designer and his brand steadfast recognition, as Ross and the Portland sportswear giant celebrate minimalism and explore blank space using technical fabrics, recycled materials, and minimalist, industrial color palettes. The fashion industry is witnessing both a new and resurgent breed of designer - uncompromising, deeply rooted in their respective cultures, and unswayed (but still driven) by the societal friction of today. Though the passing of a new year remains a wholly symbolic event, I urge you to find and support designers who maintain a sense of originality, inclusivity, sensibility, and sustainability in their work throughout this next year. Thankfully, there seems to be no shortage of them. Photos from GQ, Vogue, 10Magazine, Camper, ASICs, The New York Times, Document Journal, Bare Knuckles, Nike.